Analyz3d by Dr. Tobias Hein offers clinical-biomechanical movement analyses, consulting for scientific research projects as well as seminars & lectures. 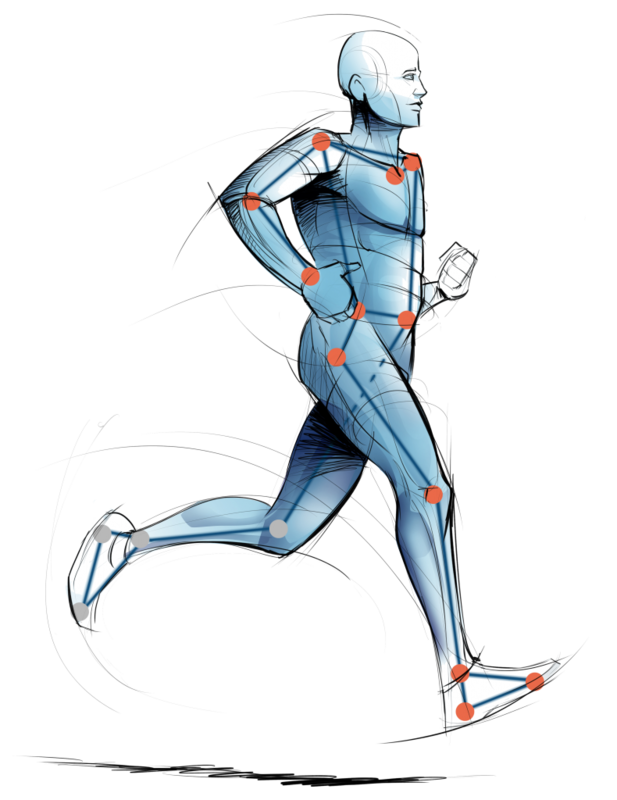 Currently, the focus lies on the Analyz3d – Running Analysis Concept which combines clinical-functional testing methods and 2D/3D movement analyses of the whole locomotor system. Deficits or asymmetries in joint flexibility, muscular mobility & strength as well as in individual running style can be detected. Based on the test results, individual training recommendations will be created in order to minimize the risk of generating injuries, to improve running technique and to increase the individual performance ability. During the upcoming years, biomechanical movement analyses within biking and golf will be implemented in the company’s portfolio. The Project Automated Framework (QBE running engine) with the online web report is a perfect opportunity to make the complex results comprehensible for the athletes. Furthermore, the possibility of being able to switch between the 3D marker mode and the 2D video mode leads to a perfect usage of the camera system. I believe 2D high speed video analyses help athletes understanding the individual deficits within the own biomechanics of the locomotor system. Nice features as the 3D videos, explanations and pictures included in the web report and the possibility to create individual training plans with videos help me offering a perfect clinical-biomechanical running analysis.